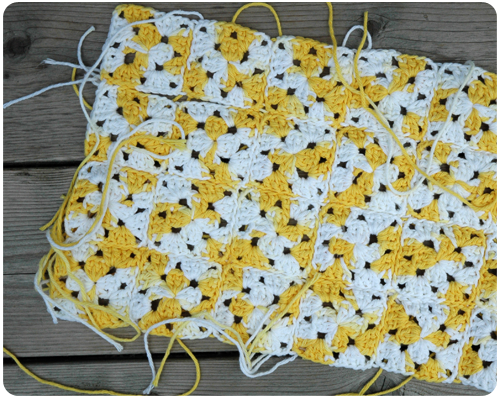 About two weeks ago, I grabbed my bag of yellow and white variegated yarn and my 4.5 mm hook and started making little granny squares. I have had this yarn for a few years now and have made a few things with it – this basket for Claire’s fishing game and this purse – but wanted to find some other use for it. 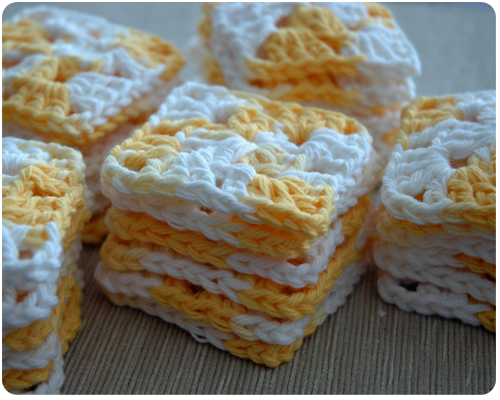 I made square after square, they just flew off my hook, and when people asked me what I was making all these squares for I told them I was not sure....because I really wasn't. But as my pile of sunshine squares grew, I decided what I was going to do with them all. I was going to make a pillow. Join all these little squares together for the front of a pillow. I am at the joining stage right now...and then I need to sew in all those ends. And figure out what to do for the back of the pillow. 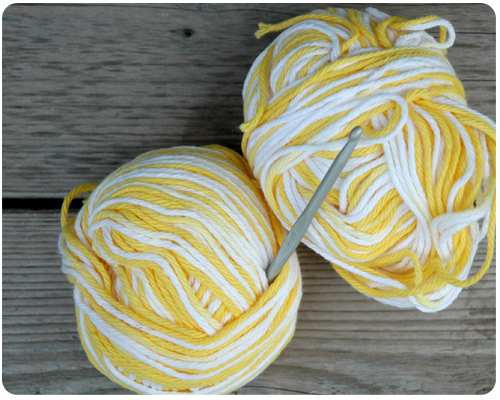 I am calling this my Sunshine Pillow...for obvious reasons, and it is the perfect project to be working on during the summer. I LOVE the yarn color!! Where can I buy it? ?